While most of us rely on encryption and authentication to protect our most critical files and other information, the reality is that these approaches to securing information have shown a continual pattern of failure since their inception. Compounding this issue is that over the past 20 years, we have carried forth an endemic fortress-based mindset of protecting information into the digital world, by consolidating massive amounts of sensitive information in select physical locations using cloud-based infrastructure. This approach has dangerously centralized and even duplicated masses of stored information, in the name of manageability and cost savings. By prioritizing manageability and cost-savings over security, we have unwittingly created high value targets for cybercriminals, and further increased the motivation and ease at which they can extract large amounts of information for sale, distribution and exploitation. In this article, we'll discuss a decentralized approach to information protection that can immunize your files and information from theft, loss and disclosure over time, while still allowing you to continue to use your preferred storage habits. Panwrypter file protection works by rearranging the fabric of your documents and files into non-linear protected volumes. Each of these volumes is then stored at a series of different places - your storage sites. Should any of your storage sites be compromised over time, your original files cannot be recovered by the attacker, since none of the protected volumes has enough information to reconstruct the fabric of your original protected files. When you need to gain access to your original files at a later time, simply use Panwrypter to collect back your protected volumes from their storage sites, and restore your original files. A key security principle behind Panwrypter is not only the distribution of the non-linear fabric of your documents and files across different locations. Panwrypter is also designed specifically to avoid "knowing" about your storage sites - where you store your protected volumes. This means it does not digitally store any information about the location of your storage sites, including on any type of service, directory or data file. Using this approach means that an attacker that is able to compromise your notebook or PC can never find out where your storage sites are - further enhancing the security of your protected files. 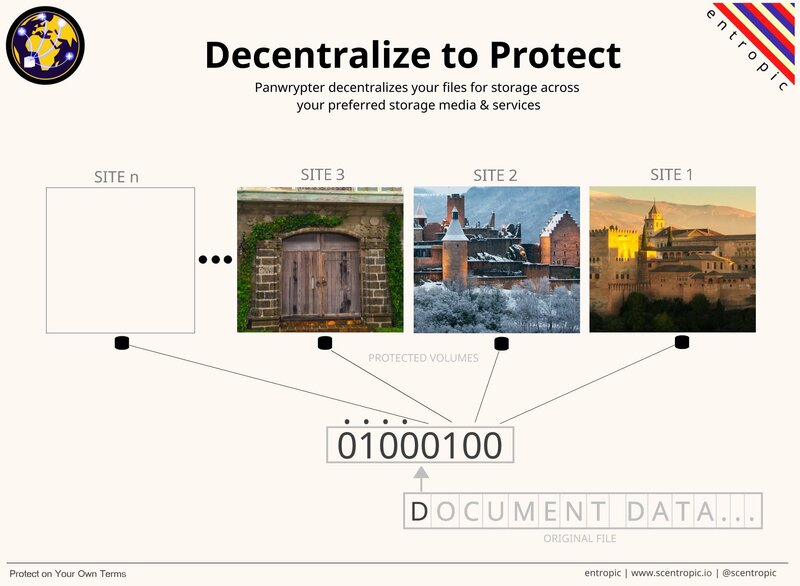 Being designed specifically for decentralized protection, Panwrypter is loaded with options that can help provide you with the best possible protection, while regarding your existing storage habits. In addition, Panwrypter can help you apply data recovery techniques in the event that one or more of your protected volumes is damaged, control where your files can be physically restored from, and help you to safely remember the details of your storage sites when you need to access your files at a later time. There is a series of evolving alternative technologies that are helping to decentralize stored information, with many making use of blockchain. A great overview of the concepts, concerns, and advantages of blockchain-based storage is discussed in this article by Delton Rhodes, originally posted on CoinCentral.com. 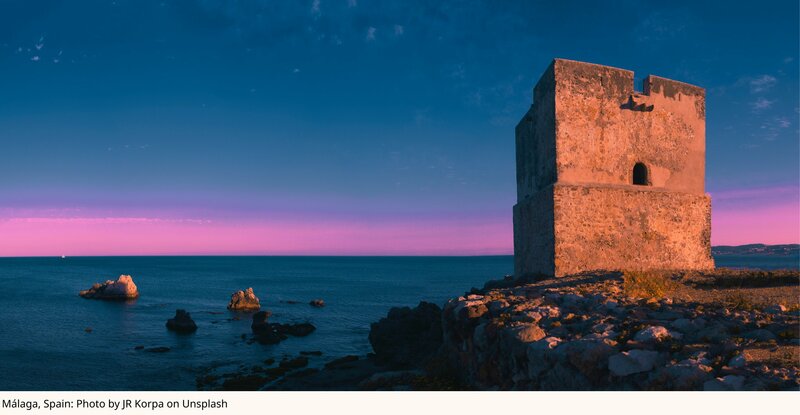 Málaga, Spain: Photo by JR Korpa; Fortress in Alhambra, Granada, Spain: Photo by Willian Justen de Vasconcellos; Bourscheid Castle, Luxembourg: Photo by Marc Marchal...on Unsplash.